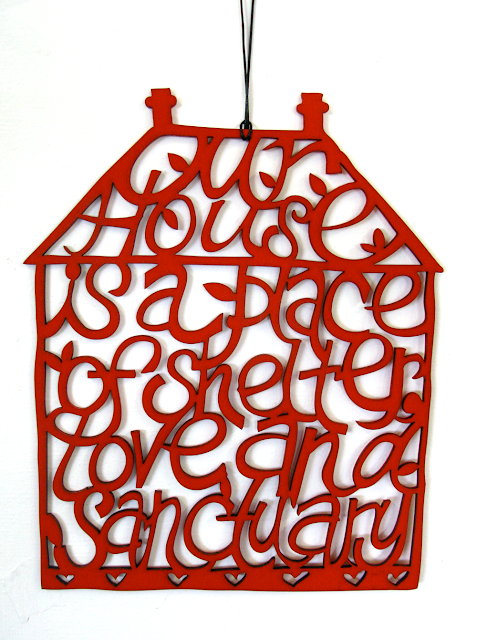 Sue Codee of This Papercut Life is giving two lucky readers the chance to win an 'Our House' woodcut from her Shelter Me series, (one in red and one in black) valued at $75ea! visit This Papercut Life's madeit store (www.madeit.com.au/thispapercutlife) and browse her stunning creations. Return here and comment below telling us which is your favourite! for a second entry, visit Sue's facebook page (https://www.facebook.com/suecodee), become a liker, and return here to leave a second comment. what a gorgeous giveaway.... my favourite is the 'midnight animals' pendant - thanks! Beautiful pieces! but my fav is the shelter me series (looks great in any colour). Gorgeous artwork. My fav is th Shelter me Series in red as it is my fav colour! Congratulations Nicole, you are the winner of the Sue Codee 'Our House' woodcut in black! If you could please email editor@tickletheimagination.com.au with your details, I'll pass them onto Sue. The Shelter me series !! Already a subscriber and I love this brooch! What a really difficult decision when I love so many, however, I particularly like Magpie with wildflowers, and really like Paper Scissors Frock #2 and 3, but my overall choice will be Butterfly. Its awesome living in Albany and seeing all your work around Sue. I am a fan of Sue's FB page as Deborah Davey. So amazingly intricate! My favourite would have to be "together" just so cute! Just checked out Sue's Facebook page and WOW is all I can really say!!! I am an avid follower of Sue's works, proud to have such a gifted artist in our home town. My favourites are the "Our House is Place of Shelter....." Also greatly inspired by Sue's ability to be far out and widely spread. I subscribe to the Tickle Mag. Did you see the Midnight Animals pendant - it's so adorable! Love all your work Sue! I have the bird house in black- purchased from the Vancouver Store / Cafe. I love the Our House in red though and the ' together'. Absolutely gorgeous. Also a big fan of your Bliss Bridal expo cutout. Wondering if I can decorate my wedding reception with your work? Would love to Sophie- are you coming to the Bliss Bridal Expo next weekend? I have subscribed to the magazine. Congratulations Jess, you are the winner of the Sue Codee 'Our House' woodcut in black! I love the Baby Bird pendant - very sweet! I like This Papercut Life by Sue Codee on facebook too. I have 'liked' Sue on Facebook... Who wouldn't?? I love the Birdhouse pendant. So cute!! I love the 'Shelter Me series- Our House'. It is perfect. This Papercut Life is a great name. Wow love these. Love the butterfly, the "our house", pretty much everything. my favourite is Bird House pendant, very classic. Congratulations to Nicole Romano and Jess, who are the winners of the Sue Codee giveaway!